A home remedy for fleas was being cooked up as far back as the 17th century by Antonie van Leeuwenhoek. We'll look at Leeuwenhoek's method, and some other proposed solutions. It seems everyone has the homemade answer to your flea infestation problem. I've seen everything from vegetable oil baths, to citrus spray, to moth balls (toxic to cats) to feeding your cat garlic (also potentially toxic to cats in high enough quantities -- what is high enough?). We all know about the dangers of using insecticides, including flea control products. One of the most common calls to the ASPCA Poison Control Center is for misuse of flea and tick products. Never use a product designed for dogs on a cat. Cats have very different metabolic systems (and livers) from other animals. So, it's no wonder, especially with the expense involved, that cat owners often turn to home remedies. Some people make the mistake, though, of assuming that what they read someone else has done with their pet is safe. It's important when administering a home remedy for fleas to pay close attention to safety and potential toxins, just as much as it is with commercial flea control products. 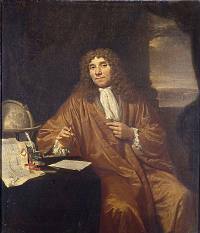 Antonie van Leeuwenhoek (1632-1723) was a Dutch scientist who observed, among other things, fleas under his hand-built microscopes. He wore wigs, which was the custom at the time, and those wigs got flea infested. He also had a dog, a Yorkshire terrier, and came up with an herbal flea powder to use to rid himself and the dog of those pesky jumping things. He applied the powder three or four times a week to his Yorkie, using a backward combing with his fingers on the dog's coat to work it into the base of the hairs. It worked. Note: Some of the ingredients in Leeuwenhoek's natural flea remedy may be toxic to cats. Garlic and onion, for example, may cause stomach upset or even damage red blood cells in cats, causing anemia. Check with your veterinarian before using any products or homemade solutions on your cat. Set up a night light near your cat's bedding. Place a bowl of soapy water under the night light. Fleas will be attracted to the light, fall into the water, and will drown. Thinly slice an unpeeled lemon and lime and pour one pint of boiling water over them, creating an herbal tea. Cover with a lid and let steep overnight. Strain the mixture, and use either in a spray bottle or a sponge to cover your cat's coat.